More Filipinos are being diagnosed with liver diseases, possibly owing to today's increasingly unhealthy lifestyle. A research published in 2017 reveals that deaths attributed to liver diseases reached 8,401 or 1.36% of total deaths in the country. Among the most common liver problems are chronic hepatitis B infection, alcoholic liver disease, and nonalcoholic fatty liver disease. One in five of people with these diseases and problems develop complications such as liver cirrhosis, liver failure, and liver cancer. The good news is liver disease is largely preventable. Measures that can significantly reduce one’s risk for liver disease include vaccination for hepatitis B, maintenance of one’s desirable body weight, regular exercise, and a healthy diet with limited amounts of alcohol. However, the only option for patients with severe complications is liver transplant. In children, biliary atresia, which is a disease of the bile ducts, is the most common cause of end-stage liver disease and liver transplantation. In the past, many Filipinos were forced to go abroad to undergo liver transplant, enduring long travel and isolation in a foreign land, while having to spend large amounts for transport and accommodations, in addition to the costs of care. In response to this gap in healthcare, The Medical City (TMC) established the Center for Liver Disease Management and Transplantation (CLDMT). 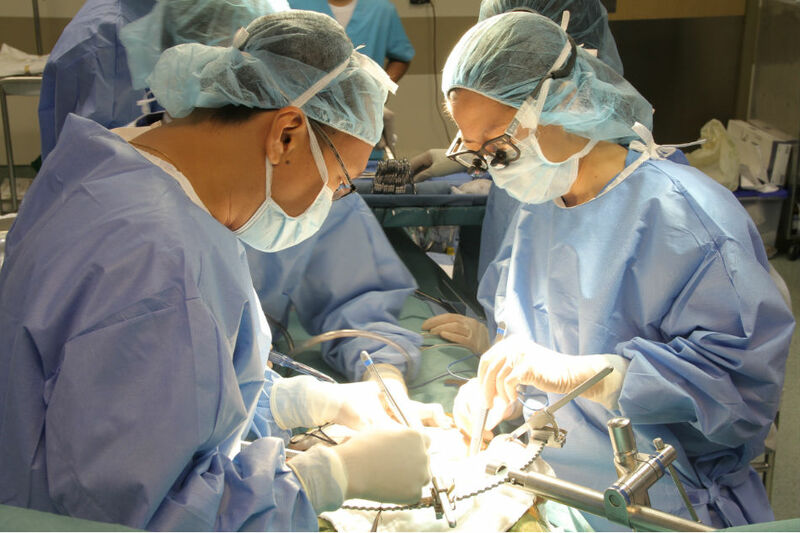 It is headed by Dr. Vanessa De Villa, a pioneering liver transplant surgeon who has worked in some of the leading transplant centers in the world. The CLDMT prides itself in providing prime diagnostic and therapeutic services to patients with various liver diseases. It has an integrated and highly skilled multidisciplinary patient-partnership approach anchored on ethical practice. Since its establishment, the center has done 15 successful liver transplant operations, making it the leader in the management of liver disease and liver transplantation in the country. Nine out of the 15 transplant cases involved pediatric patients. 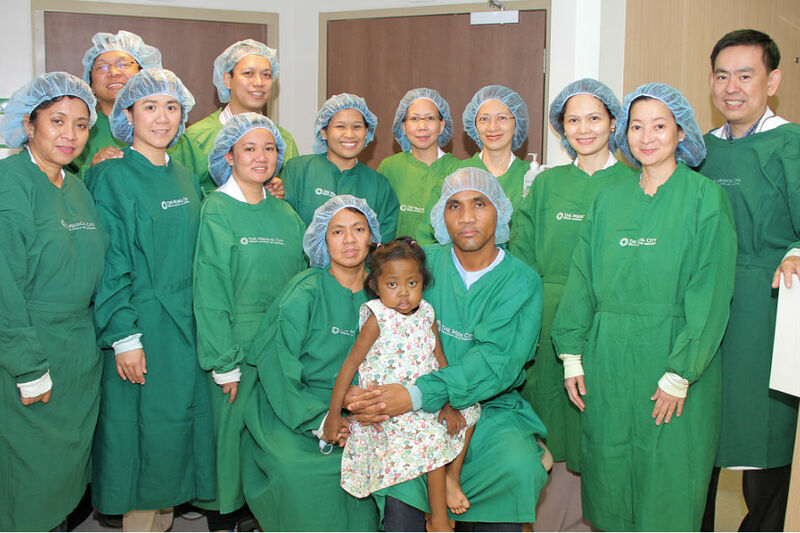 On January 7, 2011, the hospital's all-Filipino team of doctors led by De Villa performed the country’s first successful pediatric liver transplant on Catherine Erica Buenaventura. She was diagnosed with end-stage liver disease. The donor was her uncle Jefferson Llantino, the first cousin of her mother. Buenaventura learned to walk at four years old, after her liver transplant. She was also able to realize her dream of going to school. However, though her liver transplant was successful, she succumbed to the dengue virus in September 2011. Her transplant is the culmination of four years of preparation by the hospital, involving substantial investments in facilities, equipment and capacity-building of doctors and nurses. The hospital's second pediatric liver transplant recipient is Marilda Agcaoile Guzman. She went through the life-saving procedure in February 2013 when she was five years old. Guzman had biliary atresia and a rare congenital condition called Situs Inversus Totalis (SIT). Persons with SIT have all their internal organs "flipped" to the opposite side of the body such that the liver is in the left of the abdomen, not in the normal position in the right. She is only one of a very few SIT patients worldwide to have undergone a successful liver transplant. Her liver donor is her father. Another liver transplant success story is that of David De Luna. The six-year-old had his liver transplant operation in 2014 when he was barely two years old. His operation is the hospital's fifth liver transplant since 2011. His mother Anneavbit, a doctor in Lucena City, said they did not consider going abroad for De Luna's treatment because she had full confidence in the hospital's transplant team. Staying in the Philippines was also the best option for them because of the close proximity of their relatives and friends. "The Medical City has the technology and capability. The experts are here so there’s no need to go abroad for the operation," she said. Meanwhile, among the hospital's adult liver transplant recipients are Kim Escarcha, a sophomore college student, and Baltazar "Vhal" Lucas, a software developer in a publishing company who lost all his three brothers to hepatitis B and liver cancer. Lucas, who was diagnosed with liver cancer in 2014, knew he could conquer the disease through liver transplantation. In September 2015, Lucas underwent the delicate living donor liver transplantation (LDLT) at TMC. He is the first adult patient of TMC to have undergone LDLT which is now a practical alternative to deceased donor liver transplant. De Villa says the success of all these liver transplant procedures can be credited to the preparedness of TMC’s liver transplant team and the cooperation and support of the patients’ families. The Medical City marks the 10th anniversary of CLDMT with the theme “Starting Today” which aims to encourage better lifestyle behaviors to improve liver health. The hospital has lined up a series of activities including liver health forums to be held on January 26, 2019, Saturday, at TMC Ortigas. An exhibit featuring liver transplant patient testimonials in the hospital lobby is also open to the public until January 31. The CLDMT, also known as The Medical City Liver Center, may be reached through 988-7000 local 6506.